Ramakrishna the Great Master - original edition Back In Paperback! The original exhaustive biography of Sri Ramakrishna. 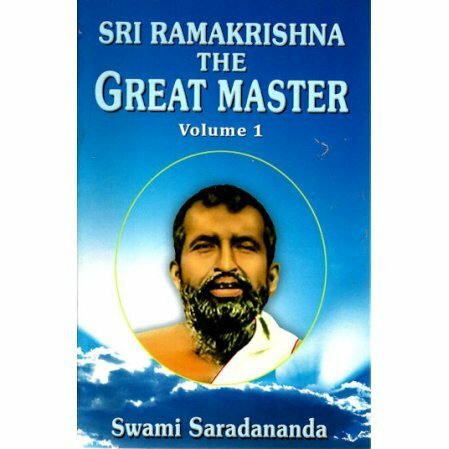 This book is the original edition of Ramakrishna the Great Master as translated by Swami Jagadananda and published in 1952. It is the most comprehensive life of Sri Ramakrishna available in English. Comment of a very senior swami on the history of the original English translation: "I am told from a very reliable source that when Swami Jagadanandaji Maharaj was asked to translate the Sri Sri Ramakrishna Lila Prasanga into English, he studied very well, and informed the General Secretary that he has something very important to discuss with them. His problem was, if he wants to stick honestly and sincerely to the ideas represented by Saradanandaji, a strict correct English translation, the English reading would be halting, and very dry and prosaic. And, if he wants to make it readable and pleasant, he would have to compromise some of the subtle ideas. He needed guidance from the headquarters what he should do. The president of the Order, Swami Virajanandaji, expressed his view to try to make it as easily readable as possible without compromising the ideas mentioned in the original book." For the life of Sri Ramakrishna, either version is must reading. For the convenience of readers, this seventh edition has been reprinted in 2 volumes. A brief content page has been added to the second volume, but the text of the sixth edition has been retained without change. I had read the two volume set and am happy a new one volume book was available. It never gets old, I enjoy it more than the newer version by Swami Chetanananda but both are amazing.